Tanji's Photo Ops ONGOING THREAD/Look for frequent thread updates! I wanted to pose him with my new dress, which is a 50s swing dress and is a lovely shade of blue. He didn't really like it but hung around for a photo anyway. Last edited by FaeryBee; 11-07-2015 at 06:24 PM. 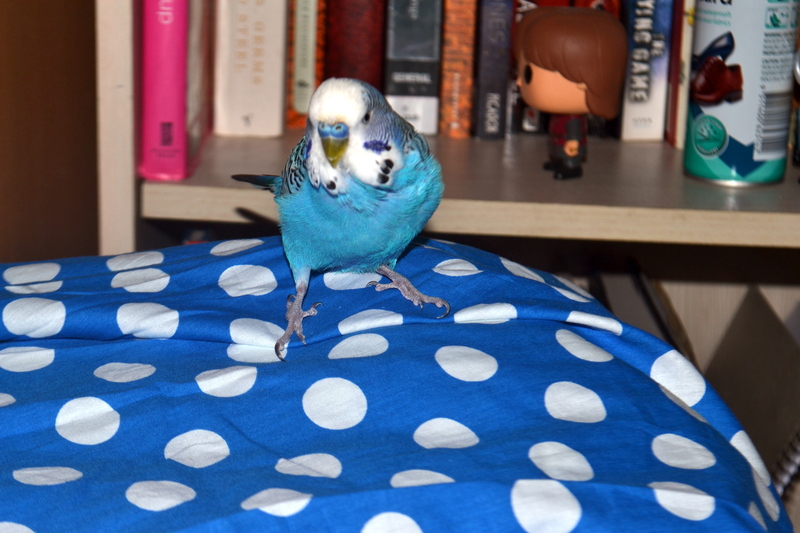 I take it blue is one of your favourite colours, judging from the dress and your lovely blue boy! He does look a bit grumpy about it! Very cute. I think he believes his shade of blue is nicer and doesn't understand why you think a picture is necessary since he always looks good. Haha, very cute photo and his colors match well with the dress. BTW, what character is that Funko Pop doll standing on the book shelf? 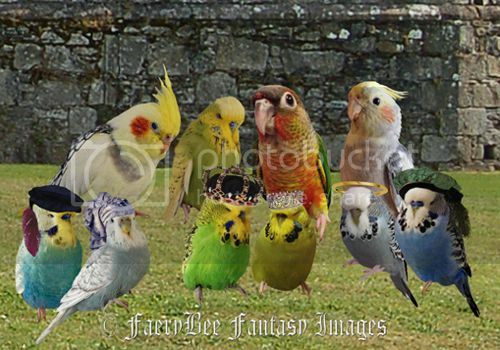 "Let birds of ALL feathers flock together"
How cute, I see Tanjiro is still sticking to the colour matching theme! Tanji looks like he's trying to tell you exactly how much better his blue and white is! Hi, that is Tyrion Lannister in the background! haha yes it has become my favourite colour since blue boy came along and stole my heart. My mum has lots of things in his colour too including a gorgeous handbag and some tops. 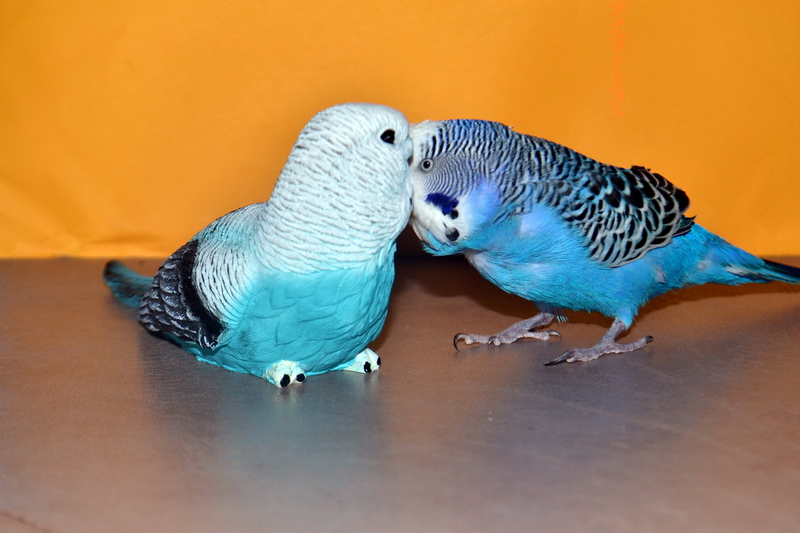 Tanjiro has taken a shine to a budgie ornament we have lying about in the house. he expects me to kiss and cuddle it like I do with him!